Call me “Old One-Shoe, Brokeback Val.” Really, you can. And I dig it. Because that’s the short of my story in Fethiye. And because of the short, I’ve come to understand a good, long lesson. 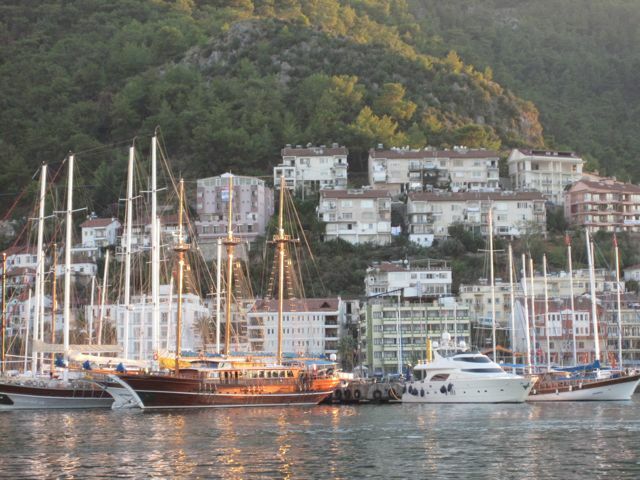 Arriving in the seaside town of Fethiye, I exhaled a sigh of relief on a soul level — no lie. While our previous stop in Selcuk afforded me the chance to simmer in the slowness of each moment, and finally feel like I was getting to the heart of a small town, we were still on the go: Ephesus, museums, Temple of Artemis and on. 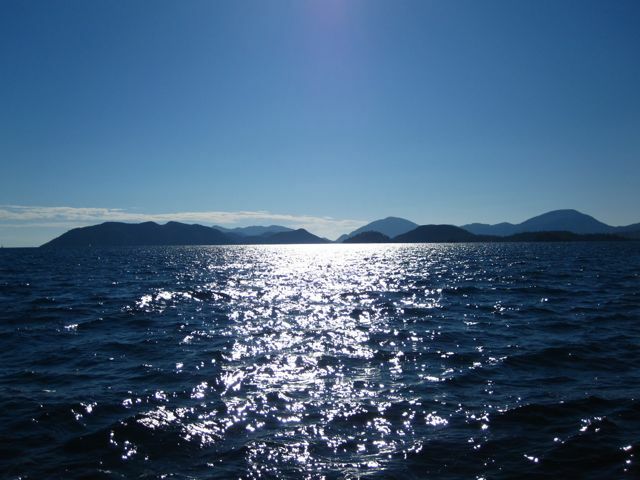 When we reached Fethiye, even that minor “go” I had felt completely evaporated. There’s just something about towns where water and mountain meet: magic. And I could see the perfect view out my hotel window. Days spent lingering at the cafes of various marinas, reading up a storm, journaling, meeting kind, lovely locals at every turn, gorging on kofte that could make a grown woman near weep … this is peace. Until, I stood up from the charming wicker chair of one such marina, and all muscles good and strong in my lower back fell into utter, and complete collapse. By luck, our plans here have truly involved little more than reading by the water and enjoying the pleasure of a life quietly well-lived. After a run to the local pharmacy, and a Rx for some magic pill known simply as “Muscal,” I felt on the mend. Ready, in fact, for a chartered boat tour around the 12 islands off Fethiye’s coast. Or so I imagined. Ok, I’ve got to admit, after the debacle of the broken computer screen, and the disappointment of having my back in perpetual spasm, I may have been feeling but a wee bit sorry for myself, and I may have been banking on an afternoon free of mishap. After all, Turkey is the land of the evil eye talisman — I was surrounded by protection! After a stop at a swimming cove, our boat sailed off into the deep blue yonder, and all was right in the world. Until our next stop — a small island to be explored. We gathered our discarded goods from the floor, and Ayaz handed me my shoe. My one shoe. After a good deal of rifling and searching the floor of our (relatively small, I might add) boat, it became clear: My treasured Merrell walking shoe, bought after weeks of research on travel gear and which had already showed promise as being utterly cloudlike on my little footsies, was gone. Vaporized. A victim of god knows what end. As the reality sank in, so did the inevitable question: WHO ON EARTH LOSES ONE SHOE? I mean seriously, the boat was small. We weren’t moving fast. It couldn’t have fallen through a slat. Nobody else’s shoes had so much as SHIFTED from where they had been tossed. Then the other questions: How to get home from the harbor? Where to buy a walking shoe? And again, WHO LOSES ONE SHOE? But that’s when my glimpse of the beautiful began. One by one, the folks sitting around me flickered into action. An older British woman grabbed my hand, proclaimed herself a “good looker,” and began sorting through crates tucked under the ship’s benches. A young couple from Salt Lake City started their own search party on deck, eventually staying long after the boat had returned to harbor to comb nearly every inch of the boat. But most surprising of all, our bench-mate, a woman from California, handed me a pair of sandles. “Here, take them, wear them. Keep them.” And with that they were mine. I offered to return them to her hotel, send her money to the USA, anything, so she wouldn’t have to give them up entirely. Yet she refused to hear of any outcome other than my wearing them. “Let them travel the world,” she said. “You realize you have just completely upped your karma ante?” I asked her. And together we laughed. The more people I meet on this trip — and with our pace slowing, people are appearing in my life in droves — the more I come to realize the universal truth: People really are inherently good. And kind. And generous. Something I prefer to always believe, but being privy to such acts on a large scale, for a long time, I expect it is what I will understand as our reality — a truth beyond my fanciful hope for us all. Ah, lady, love it! All is well:) No lie. I truly agree! Most people ARE truly — on a basic level — good, kind and wonderful if given the chance! Your pictures are fantastic! Sounds like you are having a really wonderful time, in spite of the little problems. I still have dreams about this – losing a shoe, wearing PJs to work, etc. I can’t believe it happened to you in real life! Are you sure this wasn’t a dream? sitting in my cubicle, living for your next post . . .
Awwww, valerie!!! And they were a cute pair of shoes, too!!!! What I love about this latest entry is the fact that you hit the nail right on the head—–> people are good and there are goood, caring people out there!!!! I love how the woman told you to let the sandals see the world. Honestly, you lost a pair of cute shoes… but I think you gained sooo much more. I drooled over your photographs from Turkey the other day. And this post was so wonderful – I hope you don’t lose anything else but I hope that the kindness of strangers continues to abound!